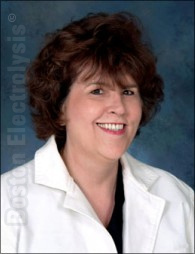 The Boston School Of Electrolysis™ announces this newly remodeled website and without doubt it is the most informative website on the “Net” that is owned and operated by this licensed and registered electrologist Kimberly Williams, R.E., Dean. In addition we have enlarged and remodeled The Five Star Electrologist© America’s Online Electrolyis News & Education for the Electrologist and Consumer© has undergone a facelift with the newly renovated Spotlight On Slime© electrologits and consumer alert section. In addition we have a new Classified Ad section with the most competitive rates for electrologists to by and sell used electrolysis equipment, books, employment, education including all categories where placing your ad is easy. Our Display Advertisement section has the best graphics with ready set to go templates to place your ad and get it out on the “Net” ASAP. In addition we also have Custom Ad design for all your advertising needs. Boston School of Electrolysis™ has the most competitive rates and display advertisements on the Internet for the licensed and registered electrologists. Also I would like to announce the “Grand Opening” of The Five Star Electrologists Guild™ Americas’ only professional group for state licensed and registered electrologists. For the record I am proud to be a licensed and registered electrologists and I have believed there is a definite need where the licensed and registered electrologits can hang their hat relax without having to worry what the next laser policy change will be. Fact, and for the record The Five Star Electrologists Guild™ is for licensed and electrologists only and I Kimberly Williams guarantee you will never see a non-licensed electrologist listed on this website. Fact, and for the record The Five Star Electrologists Guild™ promotes and praises the licensed and registered electrologists of America and will never endorse temporary laser hair removal period.